What the heck is a Green Garmento? A Green Garmento is one of those product's that should have been invented (and used) many years before now, but thanks to Rick Siegel and Jennie Nigrosh, the Green Garmento is coming to the Shark Tank Show for the whole world to see. You probably already figured out by the name, this is a Green Company devoted to getting rid of the single-use plastic garment and grocery bags. There are an estimated 300 million pounds of single-use plastic's that make it's way to the landfill every single year and the Green Garmento Dry Cleaning Bags plan on reducing this figure considerably. 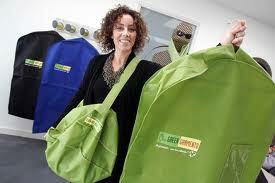 The Green Garmento is a dry cleaning and laundry bag that turns into a Duffel bag. You can carry your clothes to the dry cleaner's in the Duffie bag and get them back in a hanging garment bag and never deal with plastic covering your clothes again. This idea will save thousands of pounds of plastic in the landfill if only the Dry cleaners get onboard. And why wouldn't they? The Dry Cleaner's save money from buying the thin plastic and also provides a "Green Alternative" for their customer's at the same time. The good news is over 1000 Dry Cleaners around the country are now offering the Green Garmento as a low-cost alternative that also does a much better job at protecting your clothes. 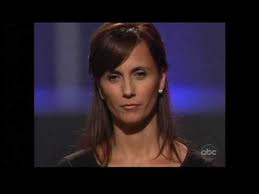 I would imagine when the Shark Tank Effect takes a hold next week, the number of Dry Cleaner's carrying the Green Garmento will grow considerably. Jennie Nigrosh and Rick Siegel are very aware of the competition they're up against and welcome it. The Green Garmento is a for-profit company, but that is far from their primary goal. Competing against a business that's more focused on the environment than maximizing profit's, will be challenging for anyone going up against the Green Garmento. Siegel says they're more focused on quality at a very affordable price that'll get people to change their habits and use an alternative to single-use plastics. The concept is very similar to what the large grocery stores are starting to implement and reducing their share of the one-time plastics. One Dry Cleaner that choosing to go the Green Garmento route was also quoted in an article about the Green Garmento in the Ney York Times back in 2010. 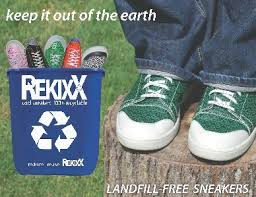 Linders French Cleaners in Bernardsville, N.J. notified all 730 pickup-and-delivery customer's they no longer use plastic but would be switching over to the new Green Garmento Bag instead. Each bag has Dry Cleaner's logo on it that's also a new form of direct advertising. Only 29 of the 730 customers's complained compared to the customers thinking it was an excellent idea. As you can see from the Dry Cleaners website, He's still using the Green Garmento even to this day. Will the Shark Tank take a bite out of the Green Garmento? In the end, it's just a garment bag for suit's and dresses, or was it a Duffie Bag? Then again It sure makes for a big hamper bag. With so many uses and at a good price, this might be an easy decision for more than one Shark to be interested in. 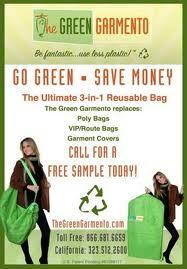 The Green Garmento's not just another bag but a Brand that wants to change the world one Dry Cleaners at a time. The sharks apparently ate Jen alive and they were not impressed with either the product or the business acumen of the company owners. 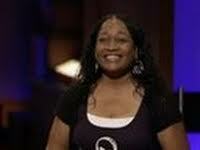 So the Shark Tank appearance was a total flop. The company has had apparent success, but something went awry with the initital investments and profits. The numbers just didn't ad up. Very well may be an example of too much borrowing from the assets of the company and living large. Heard she is making bank now!